The phrase “Yoga Couch” is fun and inviting, especially for all you tired mommas out there who just need 5 minutes of peace (and a little self-care!). The Yoga Couch was originally called “Three Tier Approach,” and although it was accurately descriptive, it was a super boring name! It was a patient who dubbed it “Yoga Couch,” because it was SUPER comfy, restorative, and revitalizing. And, it was the thing she MOST looked forward to during her physical therapy sessions with physical therapist, professional yoga therapist, and PYTI® graduate, Liz Duncanson. And so, the name, “Yoga Couch” stuck. What is “Yoga Couch” good for? Practicing yogic breathing, or the basic gold standard relaxation breath, diaphragmatic or deep belly breathing. Returning the mind to a “rest and digest” state. Normalizing shoulder, hip, and spine alignment. Improving posture and postural feedback (standing taller and more confident). Caring for or preventing generalized joint and back pain. Minimizing breathing problems if you have allergies, congestion, asthma, COPD, or similar breathing issue. Easing myofascial tension (sensation of pulling or tightness in the body). Easing neural tension (numbness or tingling in hands or feet). Improving vocal projection (if you are a teacher, public speaker, singer, or instrumentalist, or performance artist). Improve body awareness and the somatic experience. This can be a trauma-sensitive yoga pose that is an alternative for corpse pose, or savasana, especially if you cover up with a blanket or use the hands or a light weight over the abdomen to foster a sense of comfort, warmth, and safety. If you have experienced trauma or other type of pain, please work with your physical, occupational, or mental health therapist to get the MOST benefit from this pose. If you are looking for a therapist trained in MTY, search this list. Once you have the knack of practicing Yoga Couch – you can spend at least 5 minutes (painfree of course!) a day resting over the Yoga Couch to work toward the above benefits. If you cannot get down onto the floor, take your Yoga Couch to bed with you! It works wonderfully if you have sleep issues, acid reflux, or a cold, to help you breathe easier. Not sure if you are breathing properly, here’s how to identify abnormal breathing patterns! Ginger has spent 20+ years helping people (mostly moms!) with chronic pain as a physical therapist, athletic trainer, and professional yoga therapist. 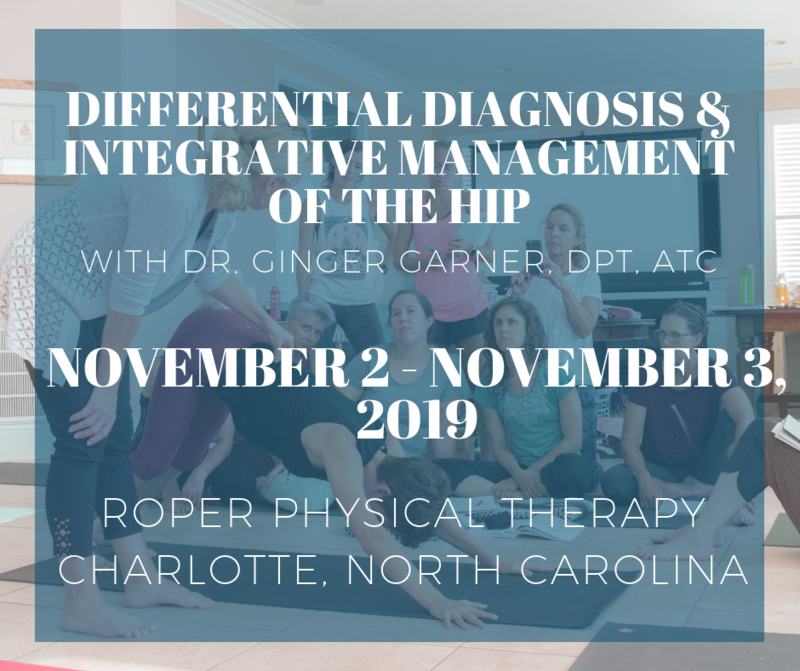 Ginger is the author of Medical Therapeutic Yoga, now in its 4th foreign translation, founder of ProYogaTherapy Institute®, codirector of Living Well Yoga in Healthcare, and most recently ran for State Senate in NC. Want to learn more? Sign up for FREE VIDEOS and an excerpt from my latest book, Medical Therapeutic Yoga, available on Amazon. All photos: ©2019. Ginger Garner. All rights reserved. So glad this was helpful Kanchan, and hope it is helpful for those you work with!